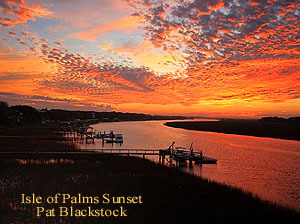 Great coastal living simply doesn’t get any better than the outstanding homes of Gift Plantation. Located off Chisholm Road on John’s Island, these spacious Lowcountry style homes were built from the late 90's to about 2009 and sit on lots from ½-acre to 1-½ acres in size. A typical floor plan in this neighborhood features 4-5 bedrooms with a minimum of 3 baths, a 3-car garage and around 3,500 square feet of space. Homes feature full and wraparound porches, screened back porches and a number of luxury interior upgrades. Neighborhood amenities include tennis courts, swimming pool, clubhouse, a playground and community dock. In an area of Johns Island not yet overly developed, the neighborhood offers a serenity and lifestyle found in few others. And it’s still just 20-25 minutes from downtown Charleston and less than 20 miles to the beach at Folly Beach. 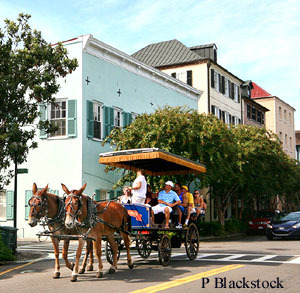 It’s also about 20 miles to Kiawah Island and the county’s Kiawah Beachwalker Park found there. Neighborhood children attend Angel Oak Elementary School, Haut Gap Middle School and St. Johns High School. One of the state’s top private schools, Porter Gaud, is about 13 miles distant.